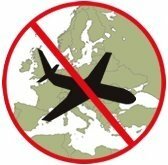 The European Commission has adopted the 23rd update of the European list of air carriers which are for safety reasons subject to an operating ban or operational restrictions within the European Union. All airlines from Swaziland and Cebu Air Pacific of the Philippines were removed from the list. On the basis of safety information from various sources and hearings before the EU Air Safety Committee, the Commission decided to remove all airlines from Swaziland from the EU safety list. This ban had been in effect since March 2006. The only airline from Swaziland effectively still on the list was Swaziland Airlink, which operates several Embraer ERJ 135LR on regional flights. Consequently, any new operators that will receive an AOC from the Swaziland authorities will now not be subject to an operating ban in the EU. In addition to the airlines from Swaziland, also Cebu Pacific Air from the Philippines was removed from the list. Following last year’s removal of Philippine Airlines, this is seen as further proof of the gradual improvement in air safety in the Philippines, according to the EC. Kazakhstan’s Air Astana saw the restrictions lifted on the amount of flights it can operate since 2009 to the EU. All other Kazakh airlines remain banned until the Kazakh authorities have implemented a sustainable system to effectively oversee the safety of these carriers. Progress was noted in Libya, which will maintain its voluntary restrictions not to fly to the EU — which they have applied since the Libyan revolution — as well as in a number of other countries whose carriers are on the safety list, such as Sudan, Mozambique and Zambia. It is hoped that the continuation of this progress could lead to positive decisions in the future.